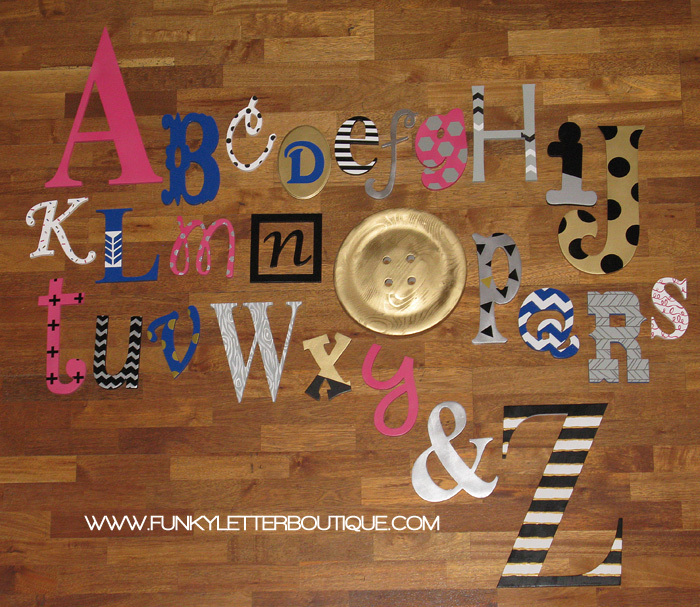 This creative wooden alphabet set can finish off pretty much any room you want it to! The letters come painted in your color scheme, and theme. You may chose up to 6 colors to personalize your set. The set comes with the alphabet A-Z letters and &. Complete the order form after payment to give me the details of how you would like your alphabet painted. 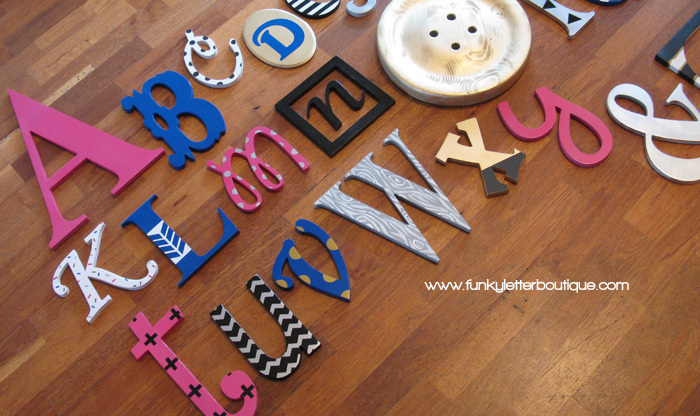 Letters are made in different sizes (Small 10"-6" Large 16"-7"), fonts etc to add to the whimsy of them. *Picture shown is simply to show you what you can do with them. The colors used in sample photo were gold, gray, cobalt blue, black, white, and raspberry.